Enjoy fantastic photos day or night with the main camera of the BlackBerry KEYone. The 12MP camera positioned on the phone's rear has an aperture of f/2.0 to allow more light into every photo you take, which means images are clear and crisp even in low light. 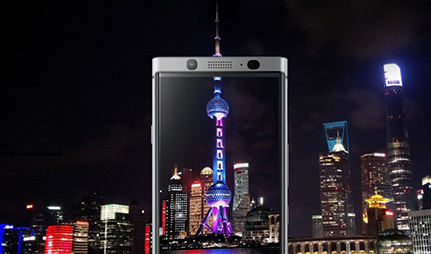 What’s more, with dual tone flash the KEYone intelligently adjust the colours to ensure every image is picture perfect. To the front of the device is an 8MP selfie camera, ideal for pin-sharp video calls or taking selfies with friends, thanks to its wide angle lens that automatically adjusts to ensure everyone can fit in. And with fix focus capability you can be sure that the KEYone captures every selfie shot with minimal blur, so you can get quality images in an instant. 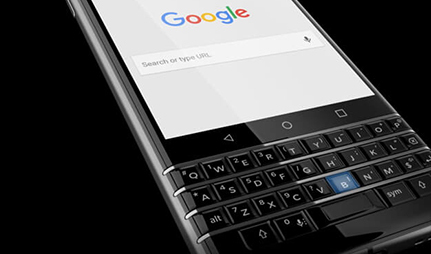 BlackBerry KEYone combines the classic Blackberry feel with updated features to create the most advanced Qwerty keyboard yet, featuring a number of handy keystrokes to improve user experience while typing. Staying in touch with colleagues and friends is made simple thanks to useful shortcuts, creating easy access to your most popular apps and contacts, so everything you need is only a tap away. Respond to messages quickly with flick typing. Using clever word suggestions, the KEYone identifies your next required word, just flick to continue and in no time your message is good to go. Finally, hidden underneath the spacebar is a fingerprint sensor, conveniently disguised to prevent any nosey neighbours from getting into your stuff. Finally, with security updates each month, the KEYone is the most secure Andorid smartphone to date. 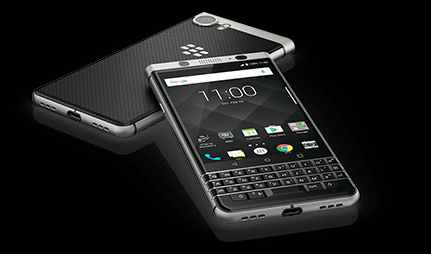 The BlackBerry KEYone is designed to be different, purposely built so you can do more for longer thank to its impressive 3505mAh battery. This is BlackBerry's largest battery to date, allowing more emails to be read, more messages to be sent and more browsing to be done without looking for a socket. Waiting for your device to charge is a thing of the past thanks to Quick Charge. Just pop it on charge and let one of BlackBerrys convenient power management tools do the work. Select Boost and in no time your smartphone will be ready to go.